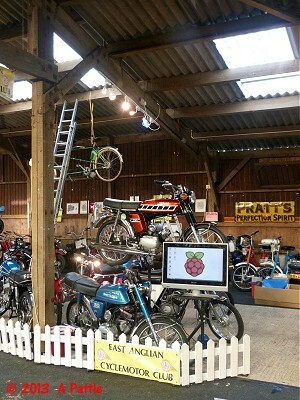 Most of the setting up was done on Saturday; this is what the stand looked like first thing Sunday morning. 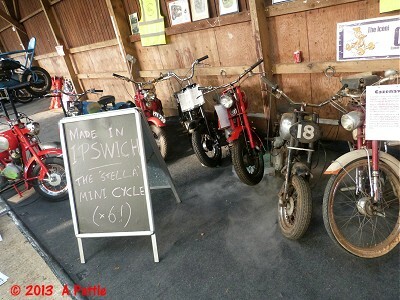 The Ipswich-built Stella has been featured on the EACC stand before but this year's Stella collection was the biggest ever with six of them on the stand. 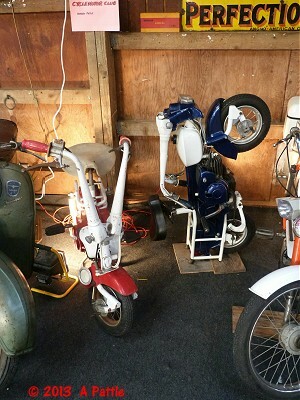 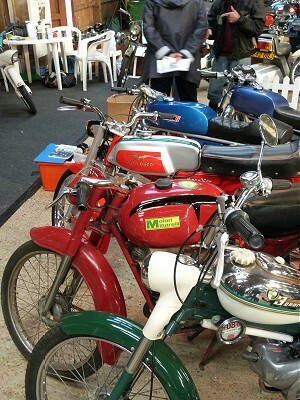 The Moto Graziella Tipo Cheeky Boy is a rare machine but there were two of them on the stand: one unfolded and one in the storage position. 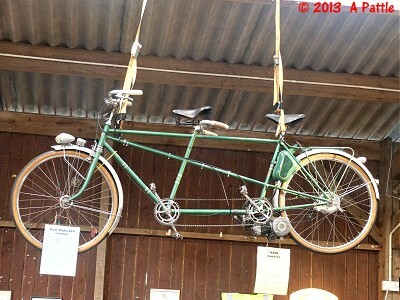 The SER-powered Paul Maye tandem would prove to be a centre of attention during the show. 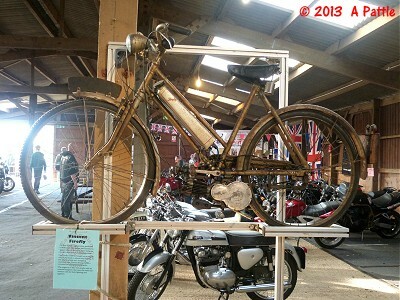 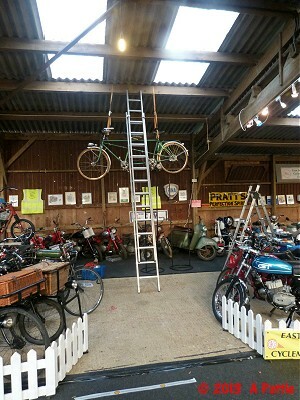 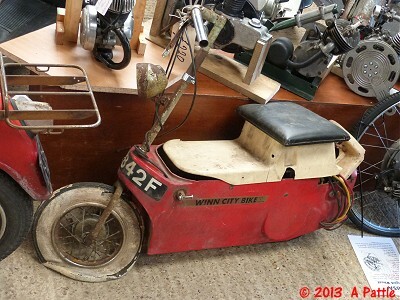 Another cyclemotor on show was a Vincent Power Cycle with its Firefly power unit. 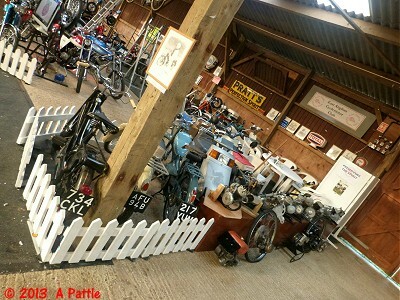 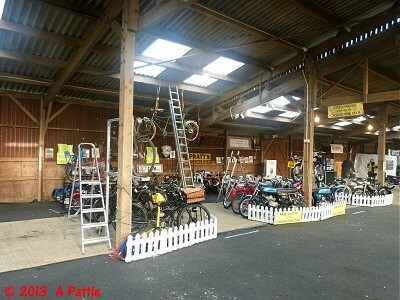 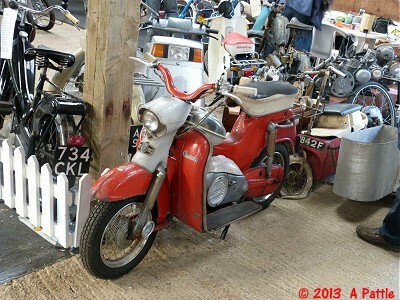 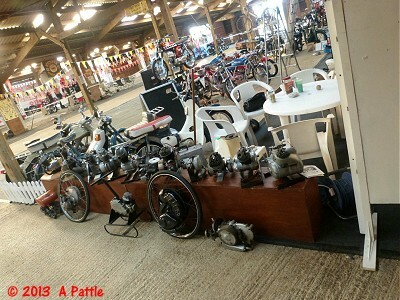 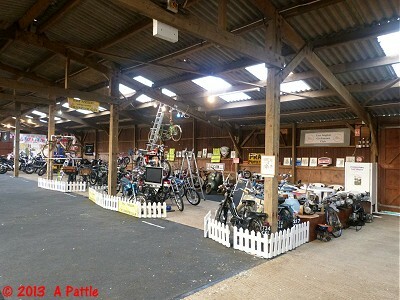 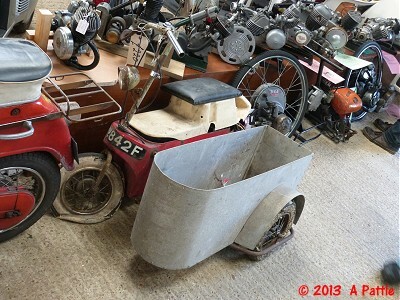 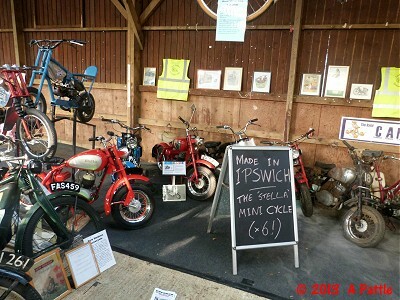 A collection of exotic sports mopeds, mostly Italian, is becoming a regular feature on the stand. 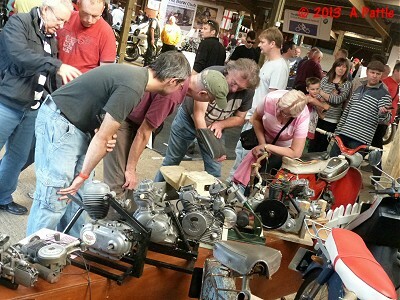 As club members trawled through the autojumble and returned with various ‘bargains’, various extra machines began to infiltrate the engine display. 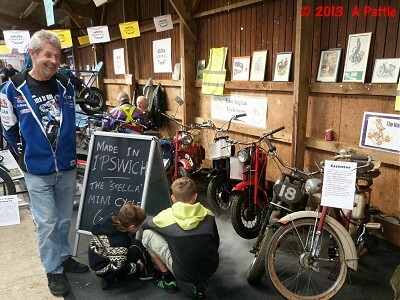 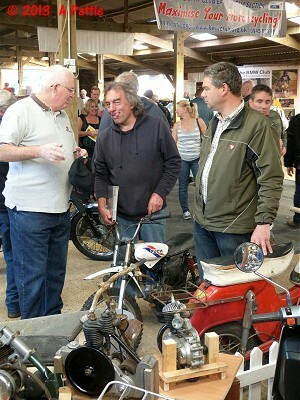 Not all the visitors to the stand were interested in the show bikes; some were more fascinated by the smoke machine ... or the jumble gleanings.